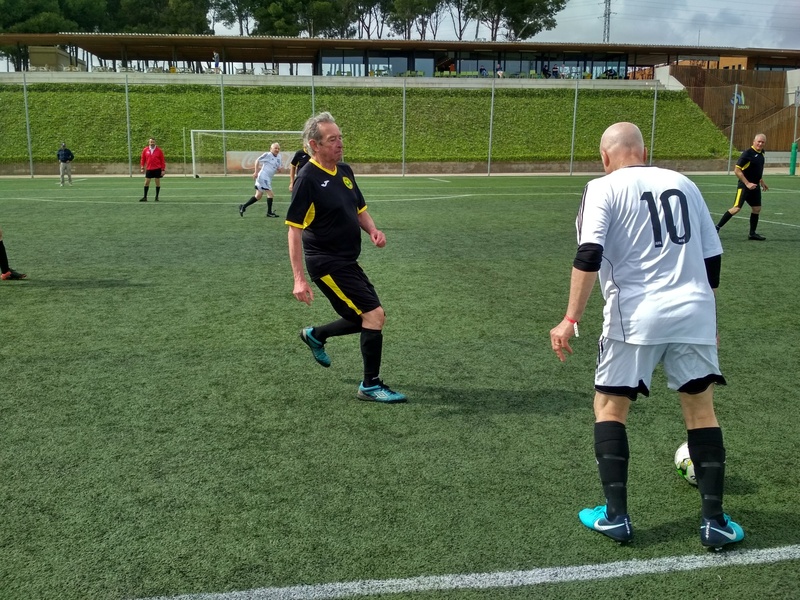 Home > Blog > Walking Football: Who said that you are too old to play football? To assume that you are getting old and that you can’t dribble with the same agility is difficult. But now a different variant of football has arrived like a glimmer of hope for those that have football in their blood: it is called walking football and is succeeding in the United Kingdom. Walking Football differs from its faster brother: teams are smaller (between 5 and 6 players), free kicks should be indirect, balls that have gone out of play must be thrown in from the ground, offsides don’t exist and the ball must always be below head height. All of that with the aim of reducing the physical risk. A story worth to be told. As it normally happens with great discoveries, walking football’s invention was something unexpected. In 2011, Chesterfield FC Community Trust was looking for a way to promote physical activity among men over the age of 50 as well as stimulate this group’s social life. The idea was well received. Later, the interest of a former professional player and a private bank, that made an advertisement on this story, generated the ultimate shock wave. Steve Rich was forced to give up professional football at the age of 26 after suffering a terrible traffic accident. He heard about walking football and decided to create a web page to connect the few teams that were scattered across the country. Barclays knew how to help him. Since then, Walking Football has undergone a meteoric rise in the United Kingdom, becoming the new national sensation. The Walking Football Association, whose acronym is WFA, comprises 1.150 clubs with approximately 40.000 registered players. The Association has confirmed us that this variant is already being played in 35 countries around the world and that, little by little, it is becoming popular among women. The biggest club is Birmingham, which has 500 members, among which, 50 are women. 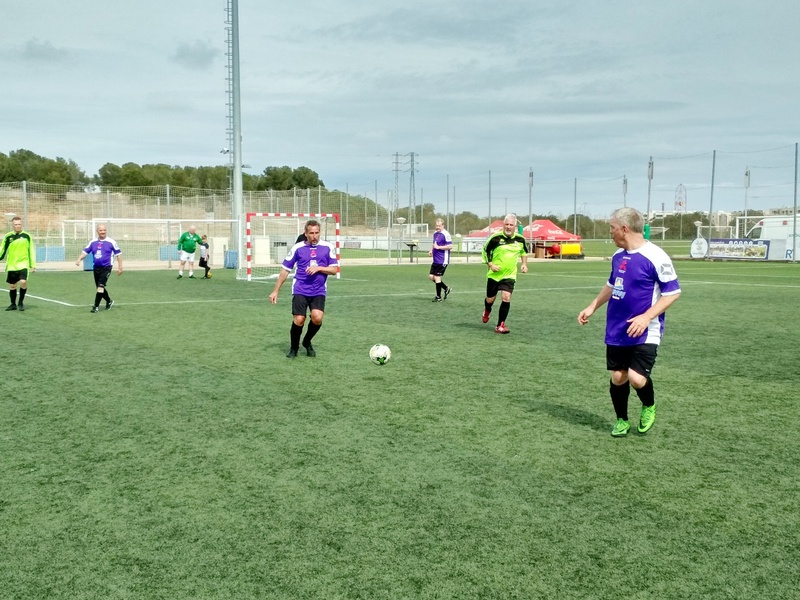 At Complex Esportiu Futbol Salou we have had the pleasure to welcome the first Walking Football tournament with teams coming from Scotland, England and Italy. We take this opportunity to chat with Michael Quin, the tournament’s organizer, and Tony Grace, one of the participants. “A lot of people don’t know about it, they see it as football for elders. But that is a limited point of view…. It is just football with some rules adapted to reduce the physical risks that normal football has. When you get older, your bones aren’t as strong, and one can’t do certain things… Then, it is about setting some security rules. That is why we have a specific regulation and we use two referees per match, one that controls the game, and the other that controls that the players don’ t run” Michael says. And he adds: “Walking Football has a lot of benefits for the physical and mental health, which are measurable. Players immediately start to lose weight, their heart health improves, they gain agility, mobility and, the most important, they regain balance. Something very positive, considering that falls are the leading cause of injuries among the elderly”. We must confess that, at this point, we are moved to tears. There is no doubt that walking football is more than football for elders, it is to recover an illusion, a shot of youth that refreshes the lives of these people. “Prostate cancer has become the third leading cause of death in the United Kingdom. Some team players have suffered it, but men aren’t good at talking about personal issues. However, the fraternity atmosphere generated by walking football, enables us to build up a supportive network and encourages us to talk about things without embarrassment. Ultimately, the best are the tea and the laughs we share after a training or a match. “The eldest player that we have had participating in this tournament is 76 years old and back home, we have an 86 year-old-member. Some of them play 5 times a week and outdoors, even if it rains! That is a proof of their motivation” Michael states. Still moved by the personal stories that you can find behind walking football, we say goodbye to Michael and Tony. We predict a wonderful future to this modality in the United Kingdom and in all the countries with a football tradition. On our behalf, we leave the doors open for them to come back to play and enjoy like children at our CE Futbol Salou facilities.